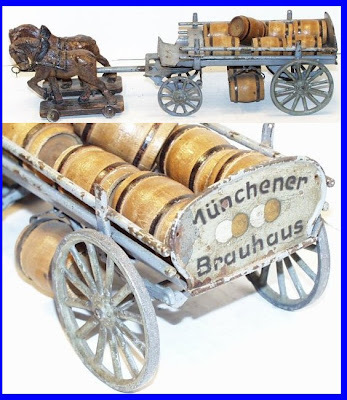 While searching eBay for the perfect Christmas gift for Sir William of Keglers, I decided to do quick "Beer -- All Categories" search. Among the 58,906 items, I found some prety interesting stuff. 1. Thriving "C" license Beer/Soda Wholesales/Retailer in rockland county New York for a mere $250,000. 2. 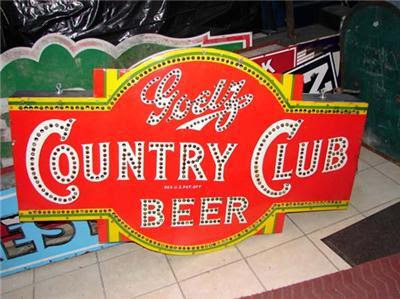 A collection of Neon Porcelain & Tin sign including beer signs for $125,000. 3. A sports bar starting at $42,500. You'll also find signs, mugs, advertsing, poster... you name it, eBay might have it. 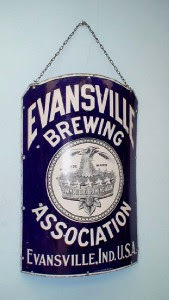 How about a 1890's curved porcelain sign from my home town of Evansville, Indiana for just $6,500. Love the sign! Just a little shy in the cash flow though! I "Bid" You a Merry Christmas....VERY CLEVER!